Golf club fitting can be confusing even to experienced players. 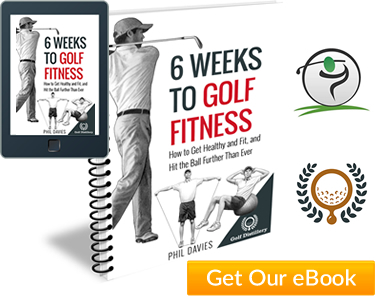 This plain-English guide will help you ask the right questions and understand the answers so you get the best clubs for your swing. 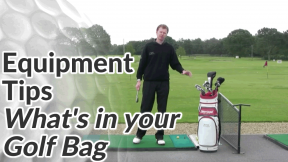 It’s important to remember that club fitting isn’t a magic bullet. 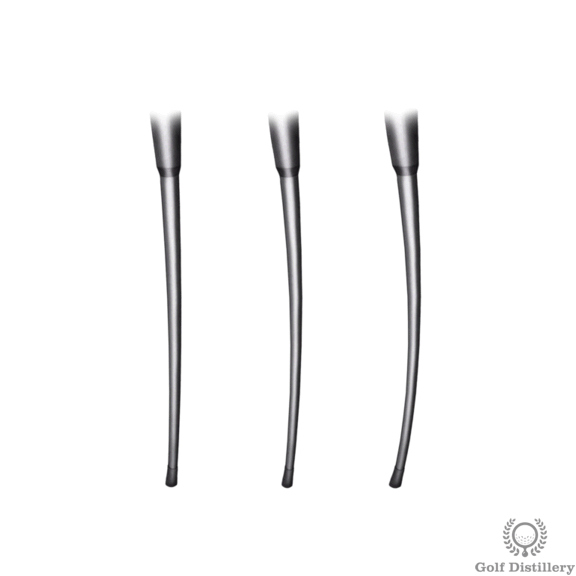 In isolation, it won’t eradicate your major faults and no matter how customised a golf club is, it can’t compensate for poor technique. With that said, club fitting can certainly help to reduce the severity of your faults and properly fitted clubs should allow you to hit the ball more solidly and more accurately. Most independent golf equipment stores offer a free club fitting service if you go on to purchase a set of clubs afterwards. However, major manufacturers (such as Mizuno, Titliest, Ping etc.) offer free fitting without obligation to buy. The downside is, you either have to travel to their fitting centre (or wait until they visit an area near you) and you are obviously limited to one brand. 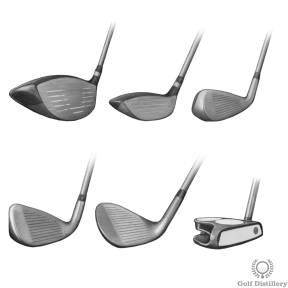 You’ll also want to narrow your options down to 1-3 models before you attend your fitting session… Because there are so many clubs on the market, it’s a good idea to focus on one area of your equipment at a time – your irons at one fitting session and your woods at another for example (better players might focus even more narrowly – driver during one session, fairway woods at another, wedges another time). Most golf equipment stores will have demo versions of the latest irons and woods or they’ll tape up new clubs and let you try them on their range. They’ll be happy to do this – especially if you intend to book a fitting session with them later on. At this stage, try as many different makes and models as you like and pick those which you find visually appealing at address. Don’t fixate yourself on one particular brand just because your favourite player uses them! Side note As a broad guide, golf clubs are divided into either a Game Improver or Better Player category. 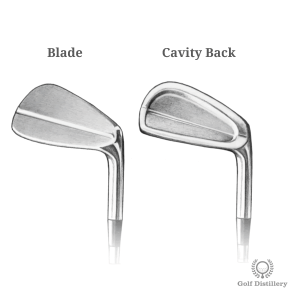 Ask your teaching professional which category is more suitable for you or opt for Game Improver clubs if you’re new to the game or play off a mid to high handicap. As you sample the clubs on the range, you’ll find that a few models just feel more comfortable and produce a more consistent ball strike. Very often it’s the brand you least prefer that seems to perform the best! Don’t discount looks completely though – a club that looks aesthetically appealing as it sits behind the ball can inspire confidence over each shot. Once you’ve whittled your selection down to 1-3 clubs that you like, you can arrange the fitting and customization session. A standard golf club is made for a player 5’9″ tall. But if you’re 6’3″ that doesn’t mean you need to add 6 inches to your clubs! Taller people also have longer arms so their wrist-to-floor measurement won’t be too dissimilar to someone of average size. 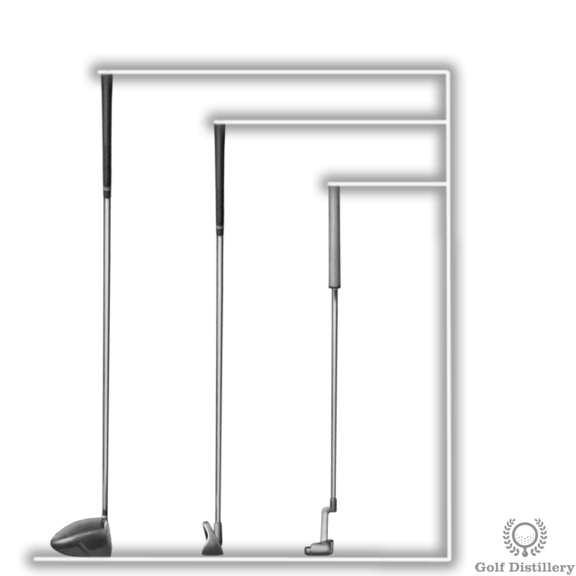 A club fitter may take your wrist-to-floor measurement and recommend standard length clubs or clubs that are 1/2 inch – 1 inch longer or shorter than standard. Ultimately though, club length comes down to what feels comfortable to you. 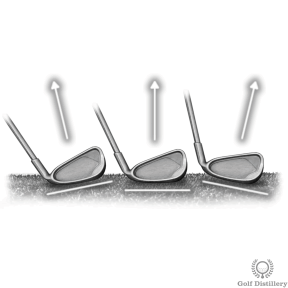 Lie angle refers to the angle between the sole of the club and the shaft. From the image below, you can see that a lie angle that is too upright means that the toe of club is above the heel at impact. This can cause a poor strike and the ball to fly to the left of target. A lie angle that is too flat means that the toe is below the heel at impact, which can also cause a poor strike and the ball to fly to the right. A club fitter can place an impact sticker on the sole of the club that will mark when the club strikes the ground. 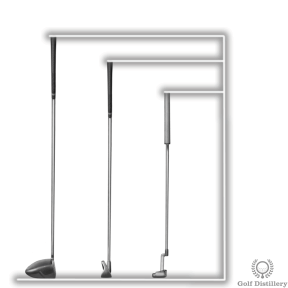 The position of the markings will show whether you’d benefit from a more upright lie or a more flat lie than standard – something that can be easily adjusted. 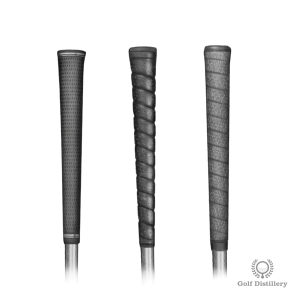 By adding more or less layers of adhesive tape underneath the grip of a club, a club fitter can adjust the grip’s thickness. A grip that is too thin can cause overworking of your hands resulting in a tendency to hook more shots. Likewise, a grip that is too thick might cause you to under-rotate your hands increasing the chances of slicing or blocking the ball out to the right. Grip thickness is usually about comfort and unless you have very large or very small hands, grip thickness can be left as standard. I’ve left this until last, as it tends to be what takes up the most time during a club fitting session. During your fitting session, you’ll hit a number of shots in front of a Launch Monitor. 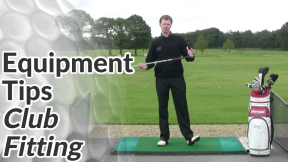 This will measure the dynamics of your swing and the launch conditions of the ball immediately after you strike it. The club fitting specialist will look at variables such as your swing speed, the ball speed, the launch angle of the ball, and the amount of spin placed on the ball. He or she will give you a number of different shafts to try to see how they affect those variables and to get them closer to optimal ranges. 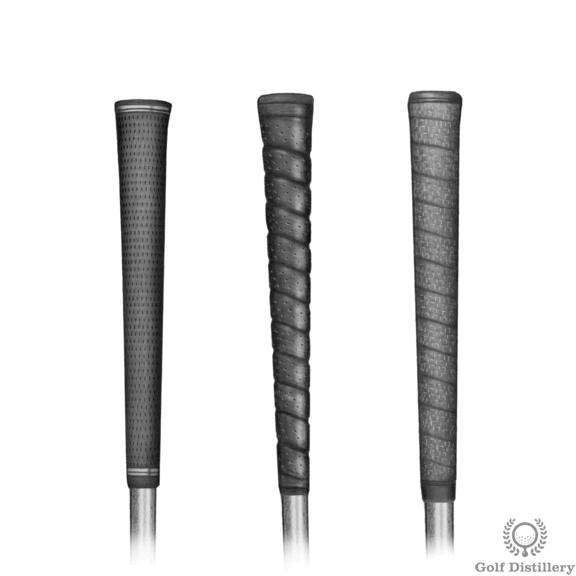 Shaft Flex (Ladies, Regular, Stiff, Extra Stiff etc. ): Slower and more rhythmical swings typically benefit from softer flexes, while faster more staccato swings typically benefit from stiffer flexes. 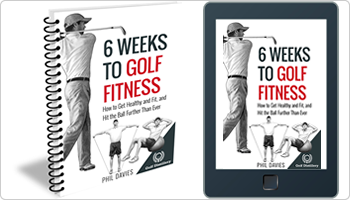 Bear in mind that stiff flex in one brand might be equivalent to regular flex in other brand – a further reason for club fitting. Shaft Weight: Lighter shafts should be easier to swing and therefore offer greater swing speed and distance. 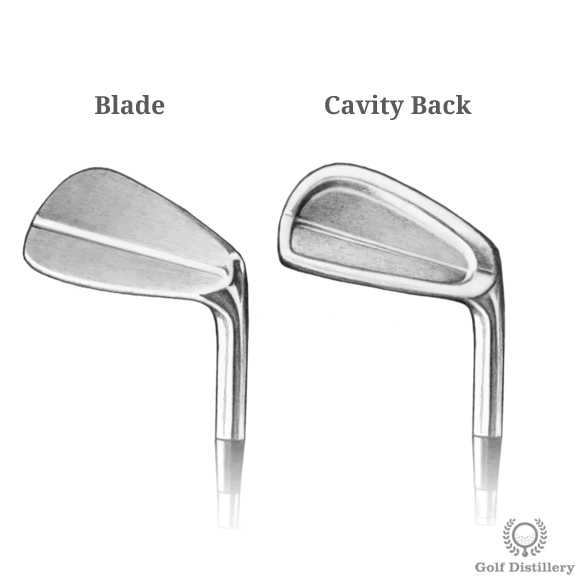 Heavier shafts generally produce less back spin and a lower ball flight and might be preferred by better players who have no trouble getting the ball in the air. Kick Point or Bend Profile: This defines how the club bends or flexes over its length. 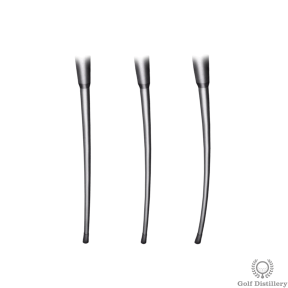 Two stiff flex shafts can have different bend profiles, with one being more stiff towards the bottom of the shaft and one being more stiff towards the top for example. Bend profile can affect the trajectory of the golf ball – helping golfers who struggle getting the ball in the air or who tend to hit it too high with too much back spin. You’re allowed a maximum of 14 clubs in your bag but with so many choices (hybrids, rescue clubs, specialist wedges, 5 woods, 7 woods) it can be tricky knowing what to include and what to leave out….